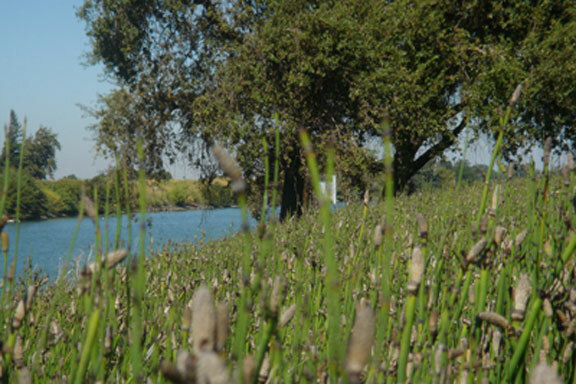 Water hyacinth was introduced to the Delta as an ornamental plant. 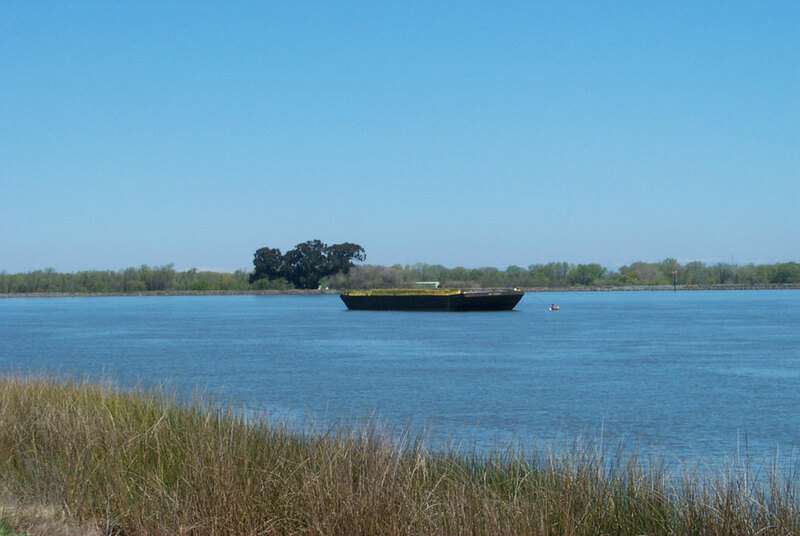 It is aggressive, and has filled or partially filled several sloughs, making them impassable. 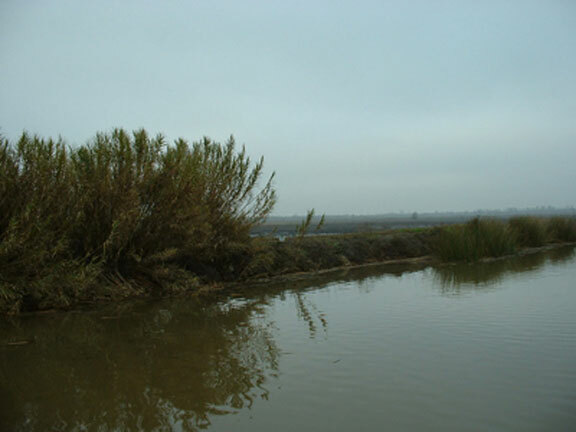 The dense, mat-like cover also cuts off sunlight to the water below, affecting plants and animals living there. 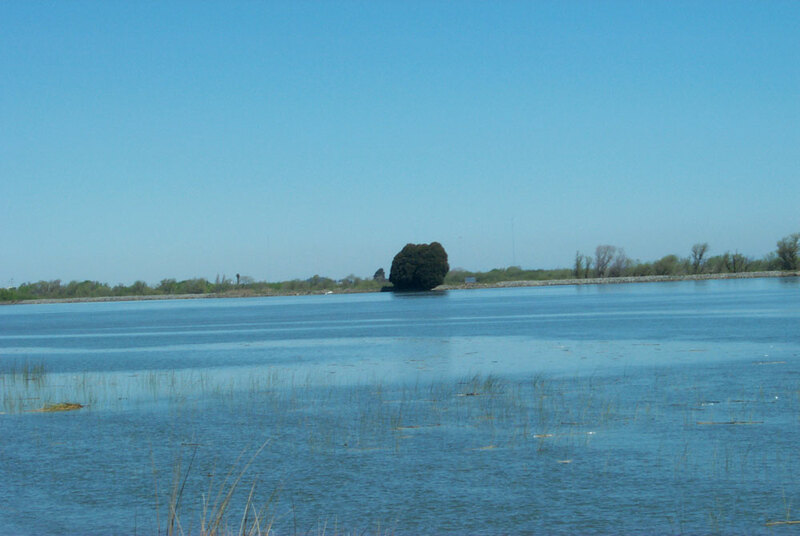 Photograph showing the typical, inverted relationship between land and water in the Delta. 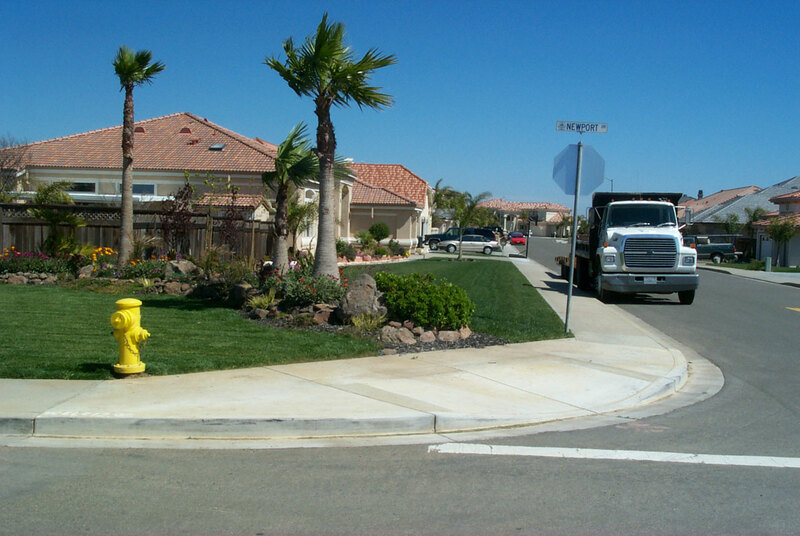 This image is an effective illustration of subsidence. Panorama of Ryer Island vineyard and windrow. 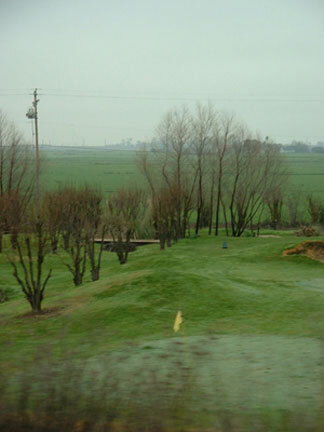 This mini-golf course is set within a pear orchard at the Ryde Hotel. The quotidian poetics of agriculture. 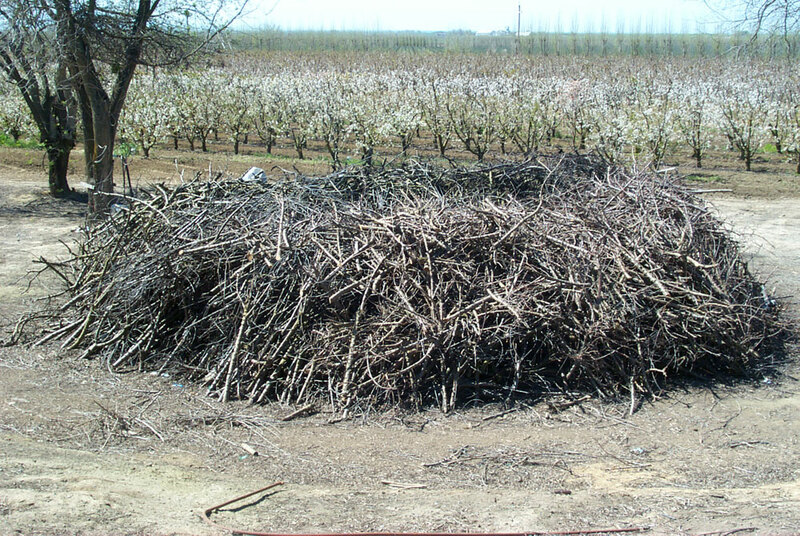 This image shows a donut-shaped mound of pear tree prunings, carefully organized for no doubt a very logical reason. 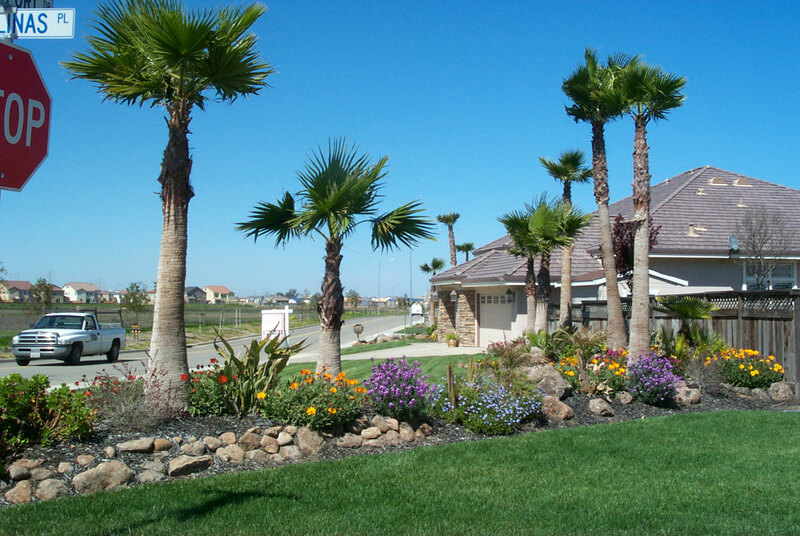 Mark’s garden, corner of Newport Drive and Bolinas Place, Discovery Bay, Contra Costa County.